Donald Trump faces slipping poll numbers, a growing number of complaints from women, and an increasingly steep uphill battle for the White House. Nonetheless, he remains the GOP nominee, and he seems to have more than a few unwavering supporters. In the off-chance that Trump does drop out of the presidential race, those who continue to support him could face a more establishment-friendly candidate in his place. Shortly after a recording published by The Washington Post revealed a conversation in which Trump described his physical behavior toward women, multiple polls reportedly showed a drop in support for the long-controversial candidate. The New York Times put Trump's chances of winning the White House at a measly 11 percent after the Post recording and several other allegations were levied against Trump by women. Trump has denied all the allegations. Those allegations include a report from a People magazine writer who claims that Trump sexually assaulted her in 2005 at his Mar-a-Lago resort in Florida, to which the Trump campaign replied that her claims have no merit. She had reportedly traveled to the resort to interview him for a story she was working on. Similarly, a New York Times report claims that two other women have come forward to describe inappropriate behavior that Trump exhibited toward them. Trump called the Times report "completely false" and "fiction." He has continuously denied any wrongdoing in the wake of sexual assault allegations — but his campaign has clearly taken a beating in the polls. It seems more than unlikely that Trump will drop out of the race. 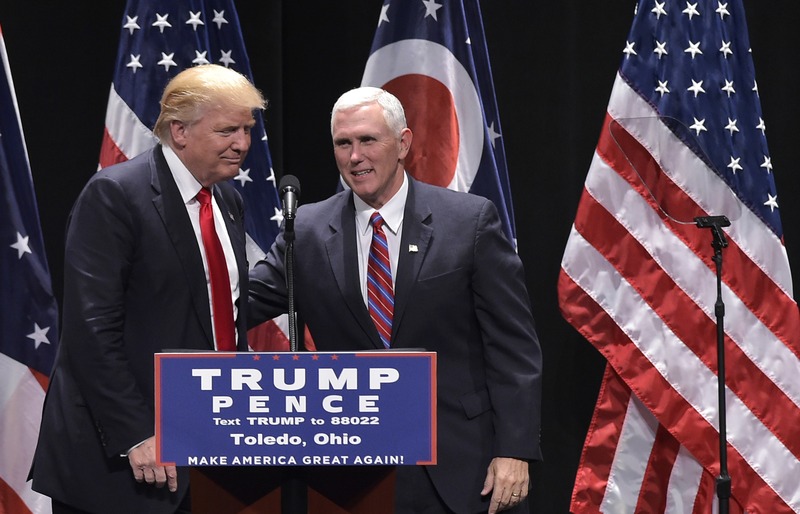 His campaign schedule remains booked full of events, and a once-wavering Mike Pence recently pledged to stand by the presidential nominee. If Trump were to drop out, though, the Republican Party has a mechanism in place to replace him. It seems awfully close to the election to organize and hold a second convention, though. As such, it's probably more likely that the RNC would vote on its own to choose the new candidate. In that scenario, according to the committee's rules, RNC members representing a certain state would have the same number of votes as their state did during the convention. The second time around, though, the RNC members would have more direct control over the ticket. If given that opportunity, they probably wouldn't choose anyone like Trump. Many Republican leaders have turned on Trump since the recent allegations about his behavior toward women. Many others had already turned on Trump, denouncing his role in the party long before the Post's report or the second presidential debate. There's no telling who the RNC would elect as its replacement candidate. Committee members could rally behind one of the failed primary candidates, or they could find a new leader altogether. It would likely be someone close to the folds of the establishment — right where Trump has vowed not to be. The whole notion of replacing Trump as a candidate seems to be a moot point, though. He hasn't expressed a desire to leave the race, despite the loud and frequent calls for him to do so. At this point, wary Republicans and others concerned about his campaign might be better off figuring out how to block him from getting the necessary 270 Electoral College votes he needs to win the White House.